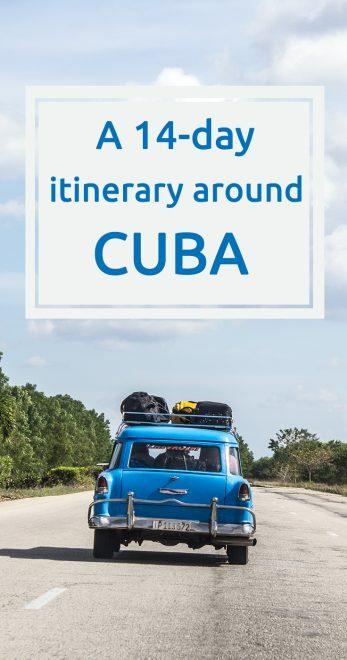 That I am a crazy planner and big fan of creating itineraries is no secret, but when I got the task of planning our so awaited trip to Cuba, I found myself in the nightmare of any planner: lack of information. It’s true, there are travel guides about the country (not really up to date, as I learned in the hard way, as well as not detailed) and many blog posts around the web with valuable tips. However, there were still many important information missing so I could get on with planning and deciding where to go, especially because, as divers, we wanted to combine great diving locations with the must sees of Cuba. No, it wasn’t easy. I almost didn’t find information on diving, and also about driving around the country, since we were renting a car. The lack of communication with the people who live there also doesn’t help any planning, booking Casas Particulares was a bit difficult, especially in Havana, where we would spend New Year’s Eve. Though, after lots of research, reading lots of blog posts, a travel guide, and many changes of mind later, I came up with an itinerary that would make us happy, and at the same time include diving and the must sees. Even though we were happy with our itinerary, things changed once we were there. Because of change in the weather, problems with accommodation, logistics, and friends that we made along the way, we ended up with a new itinerary. So because of all our changes, I thought in this post I should present our original itinerary, the final one and what I recommend you to do, plus some tips, highlights, and what we would make different. Up until we arrived in Caibarién everything was according to plan, however, we had a serious problem with the Casa Particular we were supposed to stay at (they simply forgot that we were going to stay there and gave our place to another couple) and the horrible windy and rainy weather didn’t help AT ALL on convincing us to stay longer. So, after staying on an alternative accommodation for the first night, we decided to shorten our stay and head to Varadero, especially because there wouldn’t be any changes in the weather forecast. The changes didn’t stop there. We weren’t too impressed by Varadero and in the end went back to Havana for 2,5 more days, where we decided to take a day trip to the best place we visited in the country: Cayo Levisa. Some bad things come for the good, they say. Havana really does deserve more time. 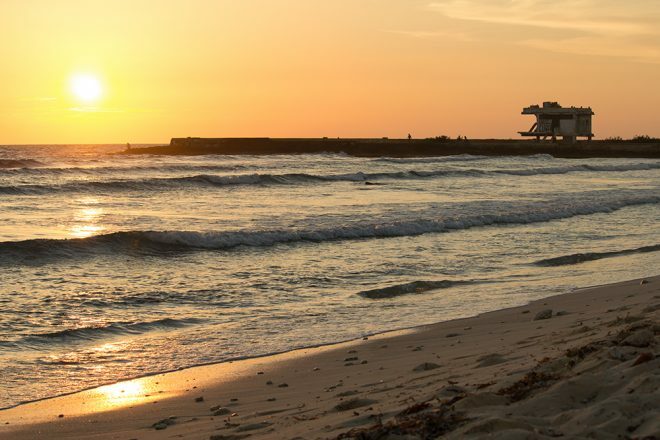 There is a lot to see and do in the city, not to mention some great beaches nearby, and from there it’s also possible to take day trips. Soon you will find here on the blog my top things to do in Havana. While in Havana, we took a day trip to Viñales with a local company (good luck with that, since there isn’t any decent one). I know that many people recommend and believe that Viñales deserves more time. We changed our minds over and over again about staying longer, and it would’ve definitely been the right decision, especially because we wanted to combine it with a visit to Cayo Levisa (diving there it’s supposed to be awesome) on the way to Playa Girón. However, since we didn’t have much information about getting to and staying on the island, and the fact that leaving from Cayo Levisa or Viñales to Playa Girón on the same day would have been a lost day (definitely true), we decided it was best to spend more time in Playa Girón and dedicate only one day to Viñales, and in the end not to go to Cayo Levisa. On our last day in Havana we got our rental car (more like a falling-into-pieces-machine) and made our way to Playa Girón. Honestly? 2 days weren’t enough, the place is incredible and perfect for divers. The water visibility was great, and we were very happy with the diving center (more about that on my diving in Cuba post). If you’re a diver, consider staying longer in Playa Girón, there are many incredible dive sites. We didn’t give much time or chance to Cienfuegos, based on our research and some recommendations, we decided only to make a quick stop in the center city on our way to Trinidad. We honestly weren’t much impressed by the town, so only stayed for a couple of hours. Highlight: one of the most beautiful buildings we’ve seen on our trip was there, the Cultural Center, which also offers a great view of the city. A must see in Cienfuegos. 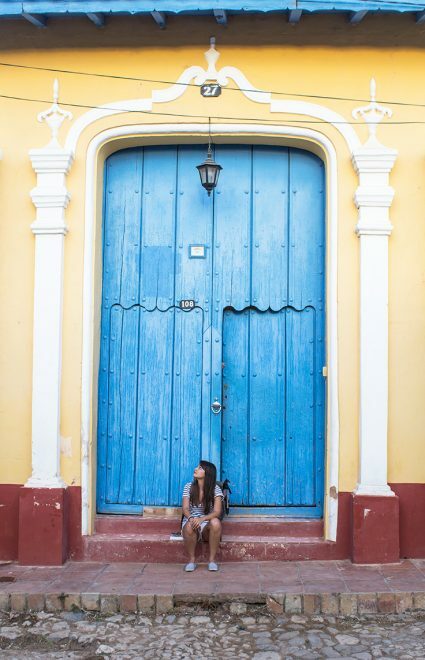 We loved our stay in Trinidad, and couldn’t have been happier about staying 2,5 days. It was ideal for us, and we even had time to go diving. Since we stayed in the center city, it was very easy to get around on foot, so we made sure to walk around the cobbled stoned streets as much as possible. Highlight: the best Mojito we had in Cuba was in the main square of Trinidad, in a place called The Best Mojito… no wonder. Don’t miss the sunset from the stairs in front of the Casa de la Musica, with a Mojito, of course. Santa Clara was on our way to Caibarién, so we decided it was worth making a last minute stop to visit the Che Guevara Memorial. However, we were there on a Monday and the Memorial was closed for visitors, bad luck for us! Tip: I don’t think it’s worth staying in Santa Clara. 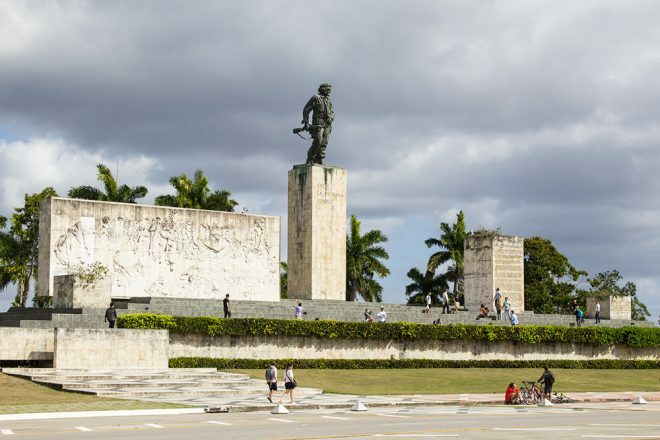 If you want to check the Che Guevara Memorial one quick stop is enough, also, remember to check the opening times before heading there. The owner of the Casa Particular we booked (and paid in advance for that matter) forgot about us and we found ourselves without accommodation at night! We ended up finding a place to stay (never got our money back) and left town the day after. 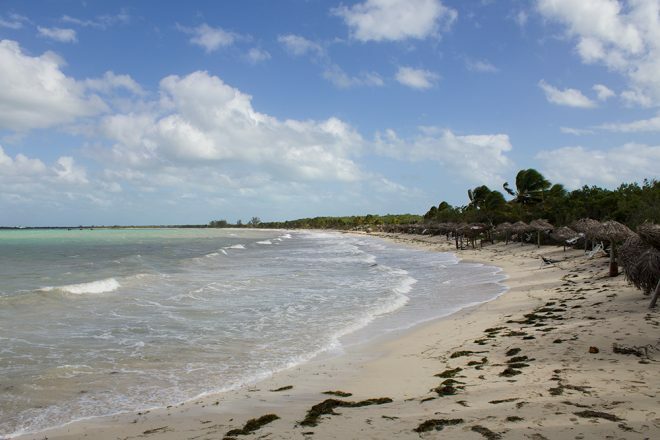 Tip: is it worth visiting Cayo Santa Maria? Definitely! However, be prepared for the weather that changes from one minute to the other in Cuba, we were very unlucky in this matter. Good to know: on the island itself there are only hotels. If you’re looking for a cheaper place to stay, then Caibarién is your place, and it’s just across the bridge that connects the Cayo to the mainland. Also, know that there is nothing interesting to see in the city. Since our flights were arriving and leaving from Varadero, we figured it would be nice to spend the last days in town enjoying the beach. However, our plan went downhill because of the bad weather (though we still managed to enjoy the beach for a few hours between rain and sun) and because we didn’t actually like the city. Varadero looks like a cheap version of Miami, it’s totally different from the rest of Cuba, and very expensive. Good to know: Casas Particulares are very expensive and hard to find in Varadero, since resorts are more common. 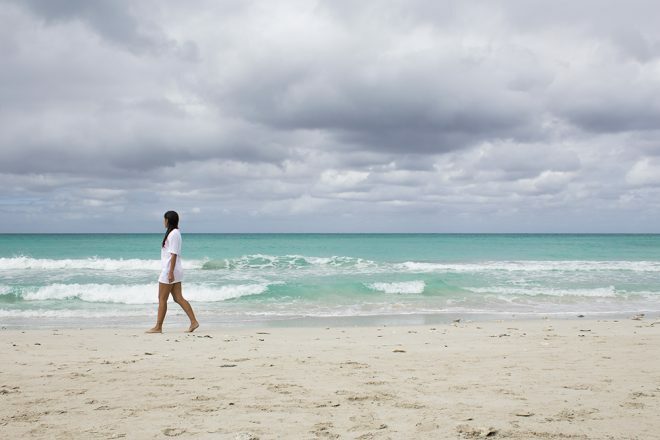 If you really want to visit the city, consider a day trip from Havana to enjoy the beaches. Unless, of course, you want to stay in one of the local resorts, which in my opinion don’t have the advantage of allowing you to experience the authentic Cuba. Highlight: ok, the beach is really incredible! Honestly? It felt so good to be back in Havana. It definitely wasn’t according to our plans, but it worked out pretty great in the end, because we got to visit the most beautiful place in the whole trip: Cayo Levisa. The island should have been on our itinerary since the beginning. Because of some friends we made along our trip who got the chance to go to Cayo Levisa, we acquired the information that we needed to make it there. Despite the difficulty to get there, it’s all worth it, the place is paradise. 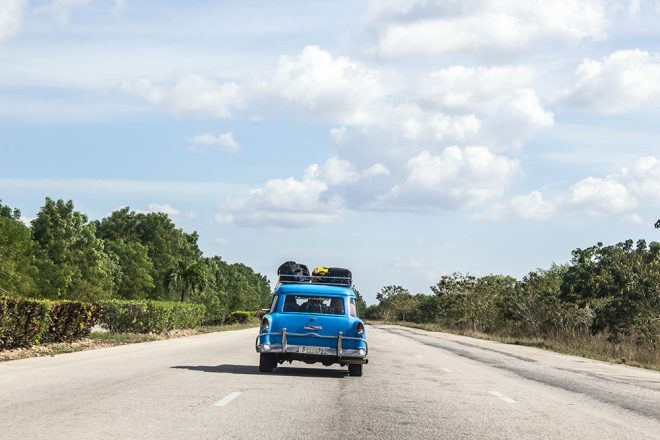 6 days in Havana: enough time to visit the city in a slow pace, go to the beach and take a day trip somewhere (Viñales, Cayo Levisa or even Varadero). 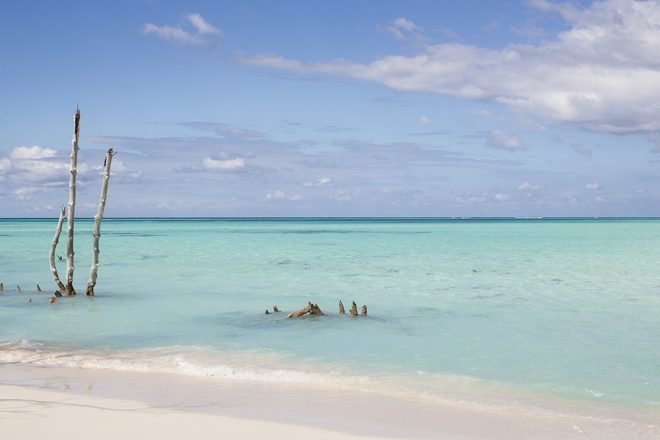 1 or 2 days in Cayo Levisa: the ideal would be to stay at the hotel on the island for a night at least. The place is really paradise, and even with so many tourists per day, there is enough paradisiac areas for you to enjoy. 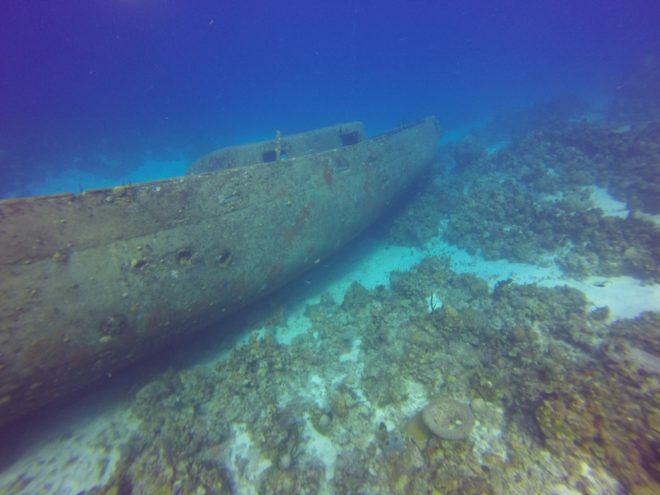 Here it’s also possible to go diving with the local diving center, the visibility must be heaven. Unfortunately, we didn’t have the chance to dive there because of the short time we had. 1 or 2 days in Viñales: this area is beautiful and very interesting if you want to learn more about Cuban cigars. Shame we only took a day trip, which was very tiring by the way. At least 2 days in Playa Girón or 3 days (if you are a diver): the water visibility here is incredible, even if you aren’t a diver, you still can enjoy some snorkeling. 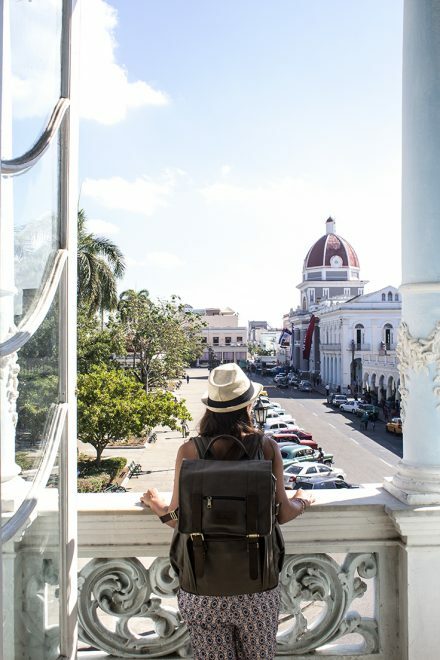 A quick stop in Cienfuegos: you don’t need much more than a day or half a day to see the center city, which is the most interesting part. 2/3 days in Trinidad: the truth is, 2 days is enough to see the city, but if you want to spend some time at the famous Playa Ancón and maybe go diving, then 3 days are great. A quick stop in Santa Clara (avoid Mondays): if you are interested on visiting the Che Guevara Memorial. 2 days in Caibarién (Cayo Santa Maria): 2 days would be ideal to visit Cayo Santa Maria, to enjoy the beach, see the famous flamingos, and maybe even go diving. Return to Varadero or Havana: be careful with the route you choose, I’d go back via Santa Clara and not near the coast as we did, which is pretty much the middle of nowhere and the roads are HORRIBLE! We couldn’t find a place to eat, or a decent bathroom. 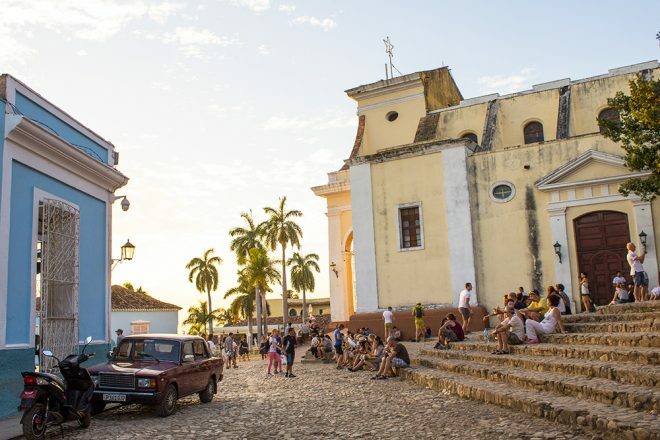 Bear in mind: Cuba is constantly changing, and so is the information you will need for your trip. Some things you will only be sure of once you’re there. I hope that with this post I have provided you enough information for you to get started with planning your own trip to the country. Should you need any specific information I’d be happy to help you, just say hello and I’ll try to get back to you asap. Great guide Allane! Hope to do a similar trip one day…should I ever be allowed to freely visit without the extra hassle! Thank you 🙂 Is it still so complicated to go there as an American? I met 2 American girls when I was in Havana, they went there just for the weekend. I hope you can take this trip too, you will love the experience, Cuba is the most different country I ever visited! Yes, it wasn’t so easy for us to plan a trip there, but I’m guessing each day is getting better in this sense. 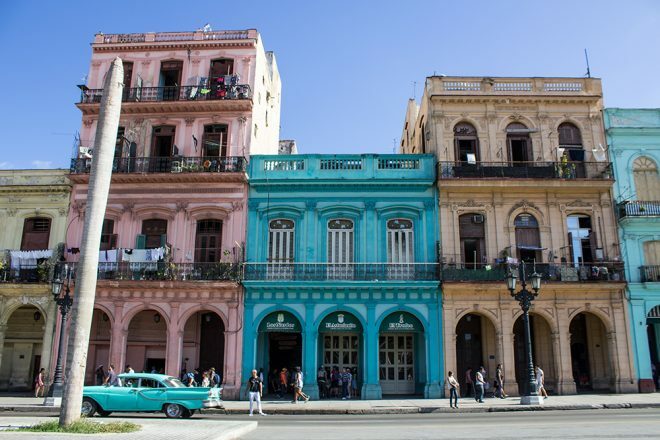 Cuba is constantly changing. Yayy, happy that you liked the blog makeover!